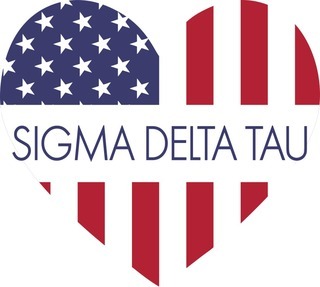 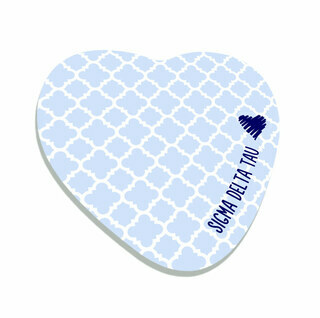 We �heart� the lovely sisters of Sigma Delta Tau! 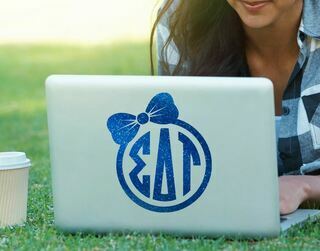 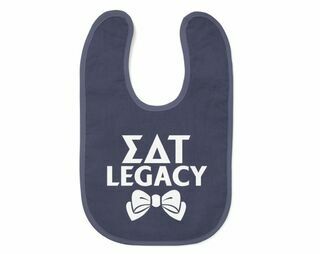 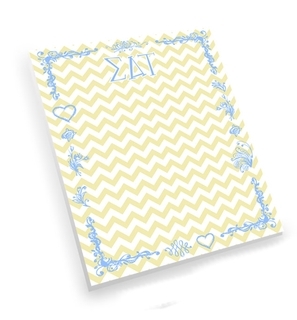 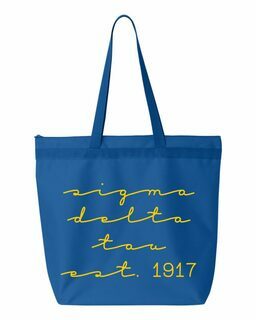 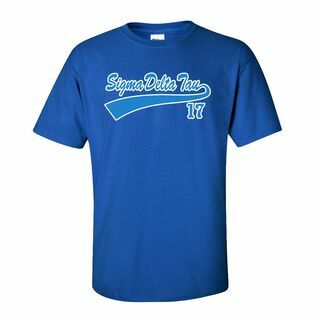 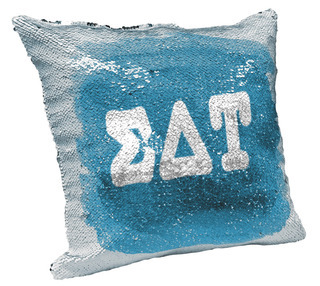 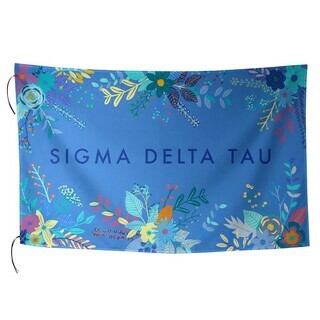 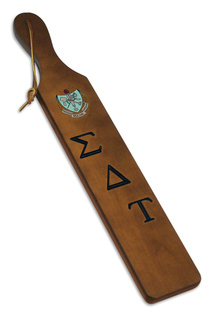 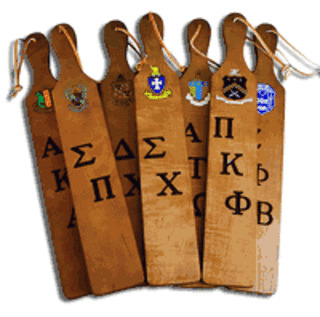 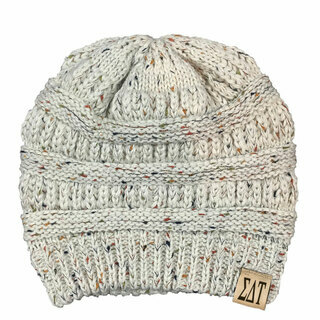 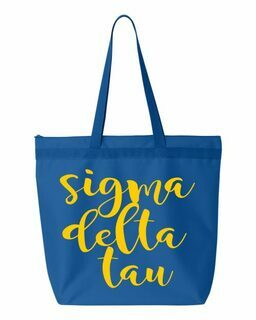 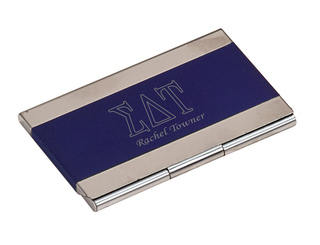 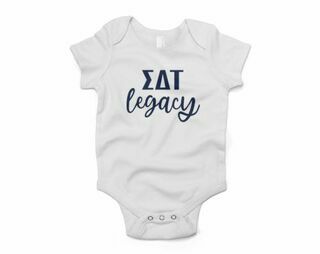 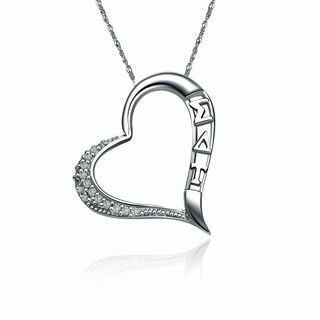 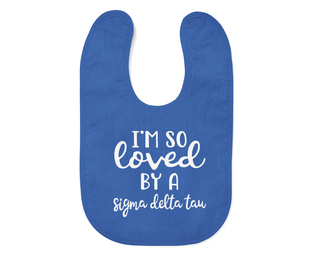 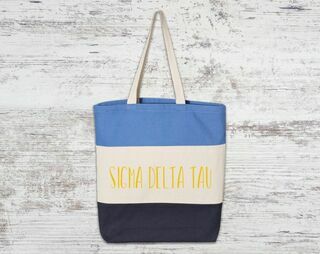 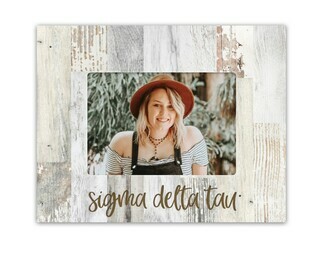 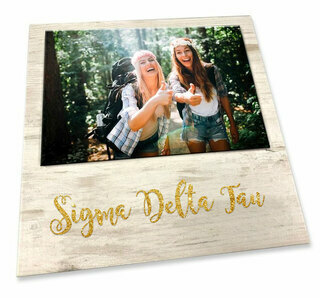 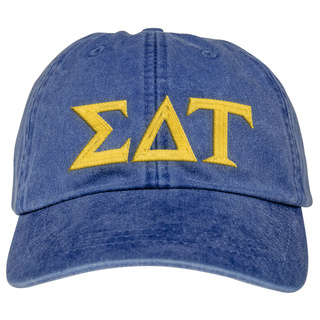 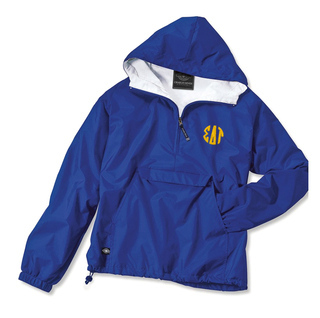 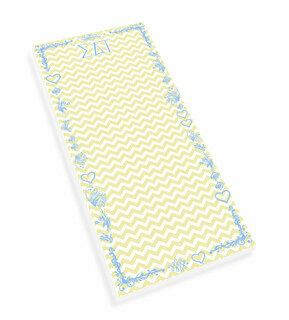 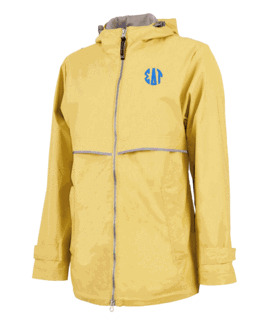 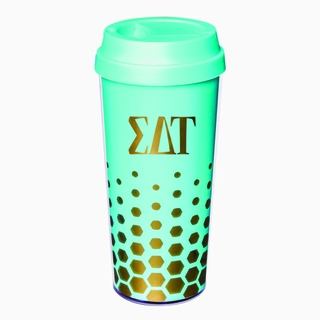 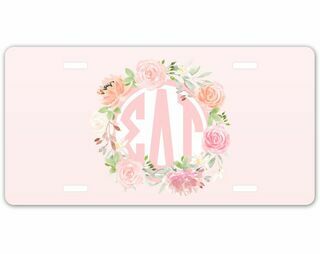 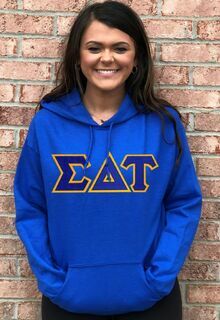 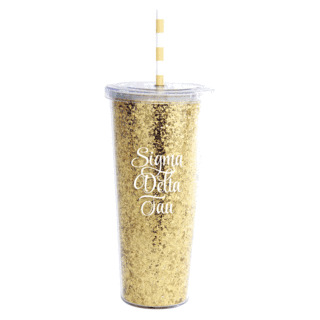 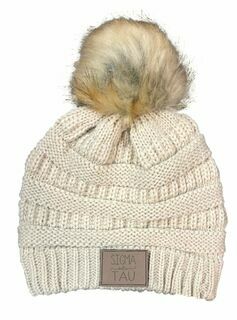 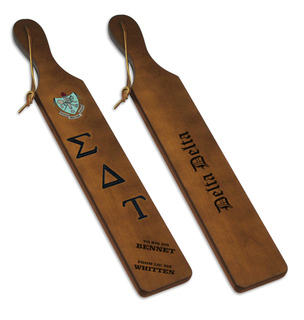 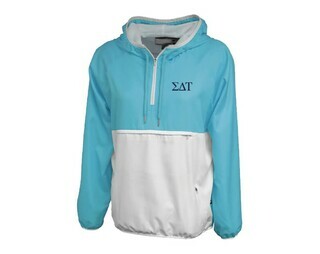 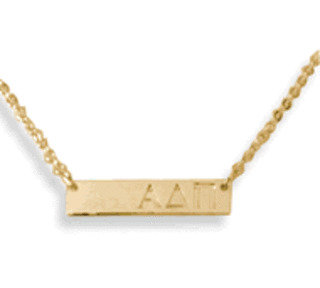 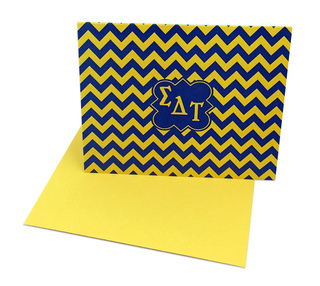 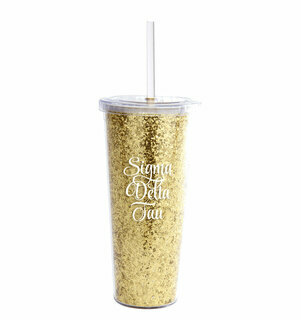 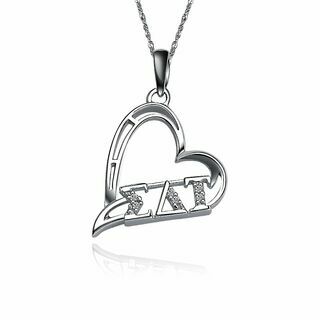 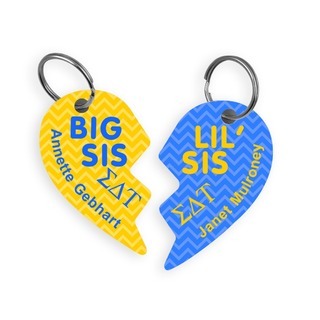 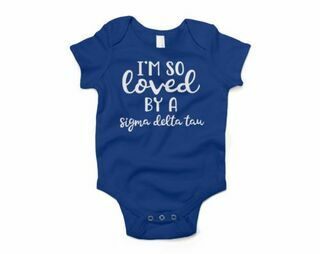 We have hard to find Sigma Delta Tau Greek para including beautiful novelty items, sorority recruitment gifts, attractive Sigma Delta Tau clothing, Chapter banners, and personalized Sigma Delta Tau merchandise. 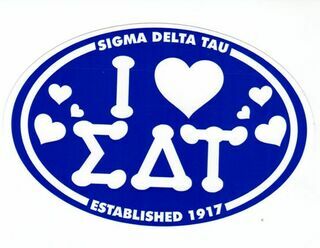 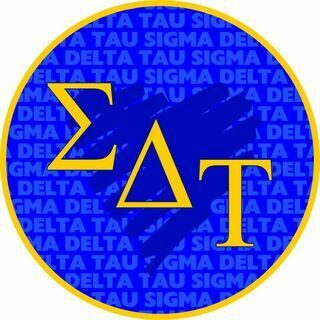 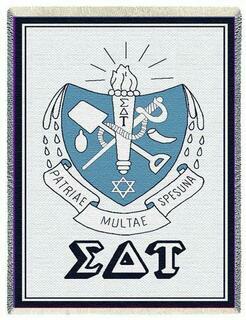 Sigma Delta Tau national sorority was founded on March 25, 1917 at Cornell University in Ithaca, New York. 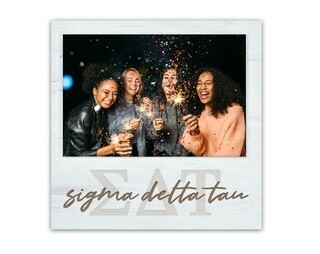 The founders were 7 Jewish women who wanted to build long lasting friendship and foster personal growth: Dora Bloom (Turteltaub), Amy Apfel (Tishman), Marian Gerber (Greenberg), Grace Srenco (Grossman), Inez Ross, Regene Freund (Cohane), and Lenore Rubinow. 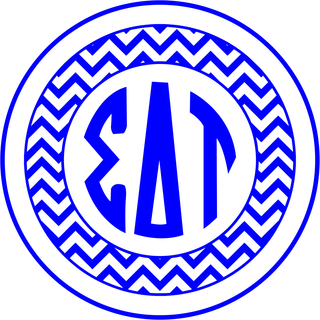 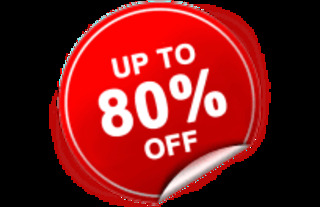 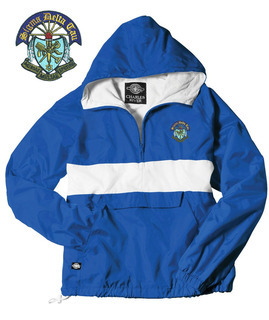 The sorority�s colors are Cafe au Lait and Old Blue, and the sorority has no requirements regarding religion for membership. 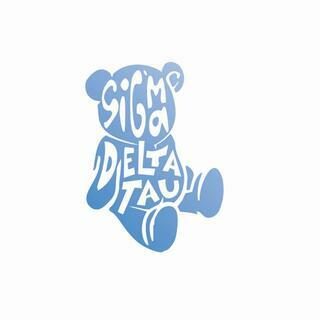 Sigma Delta Tau�s philanthropy effort is focused around Prevent Child Abuse America. 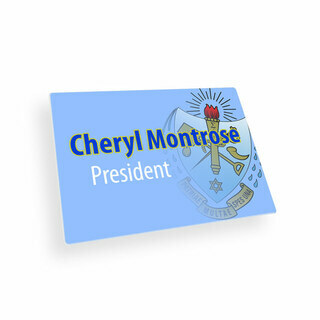 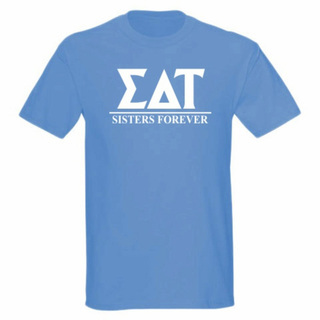 Notable sorors include TV and Radio personality/psychologist Dr. Joyce Brothers and actress/singer Christy Romano. 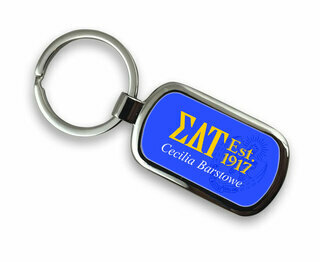 To the sisters of Sigma Delta Tau � celebrate over 90 years of history with a para update! 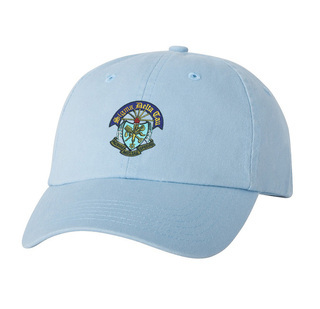 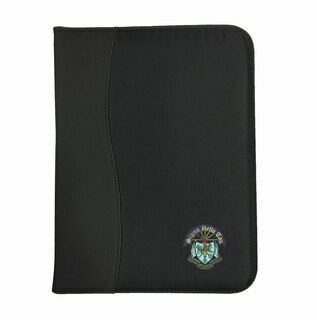 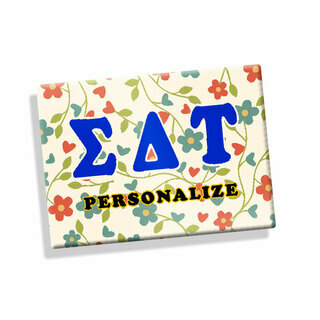 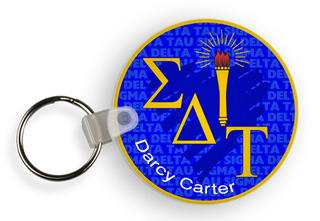 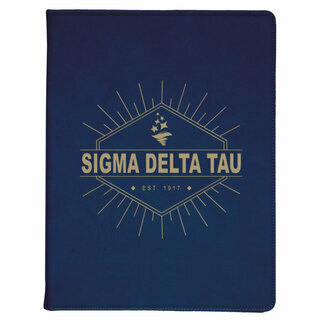 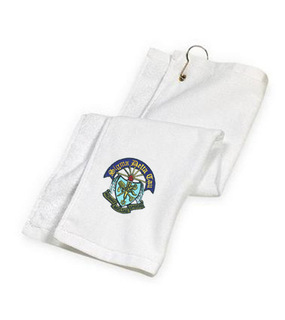 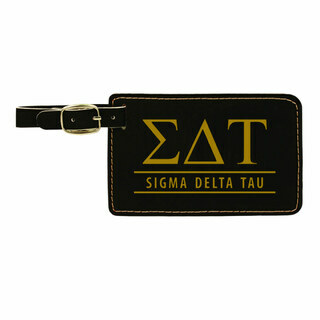 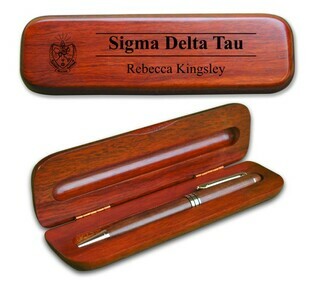 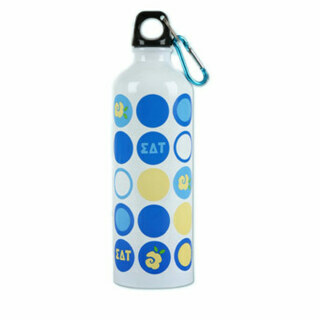 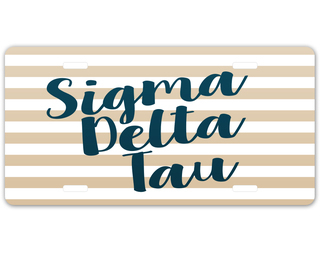 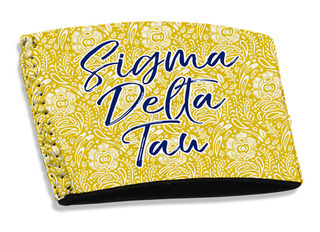 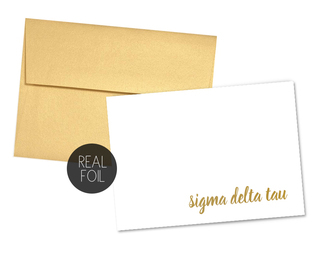 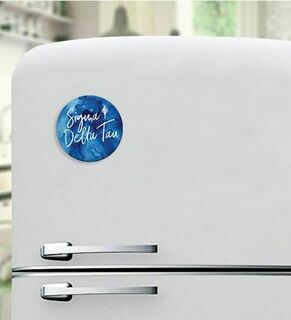 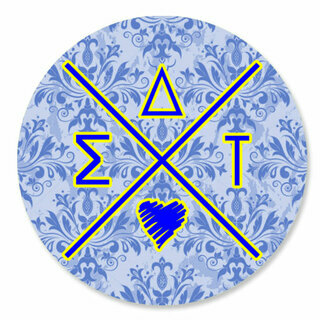 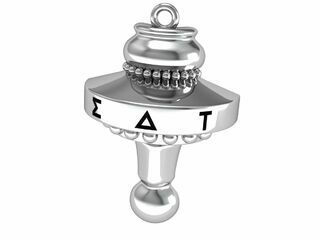 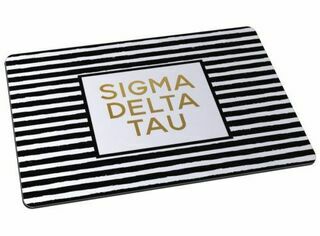 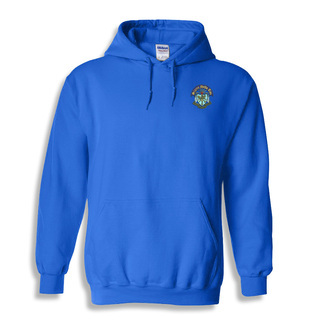 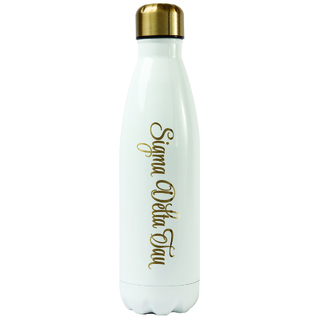 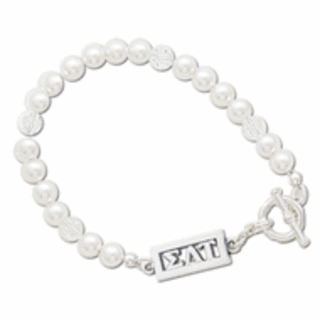 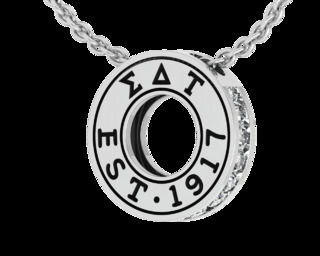 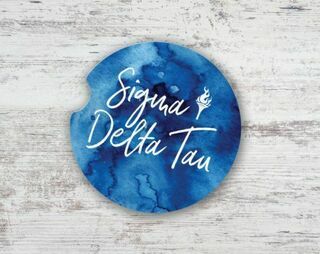 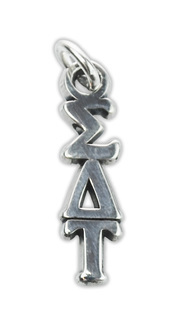 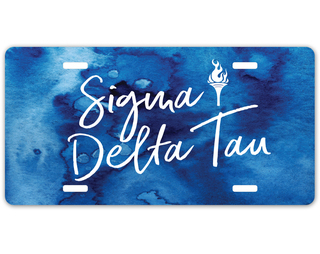 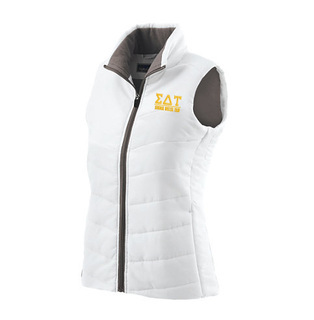 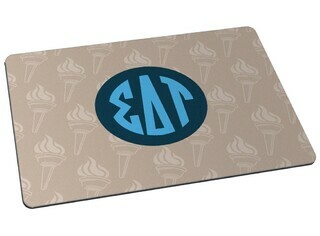 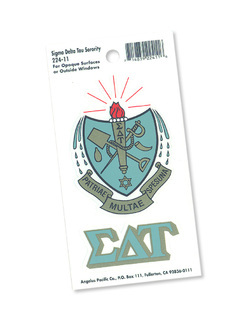 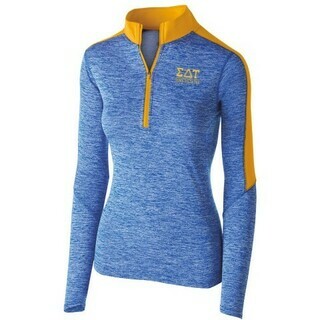 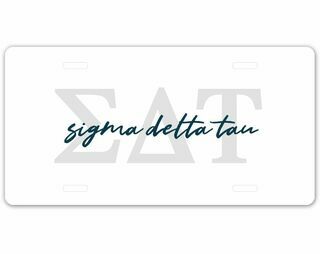 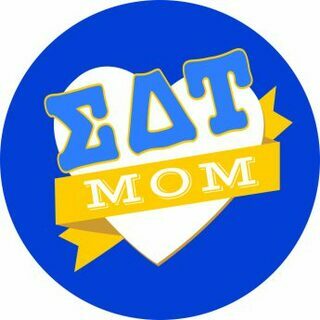 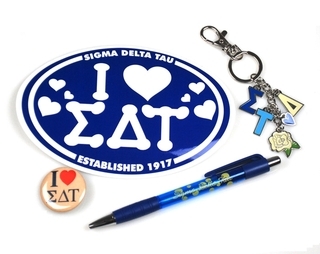 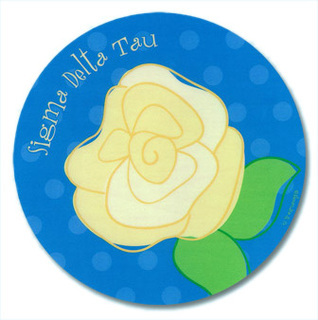 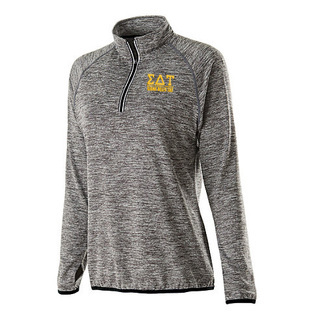 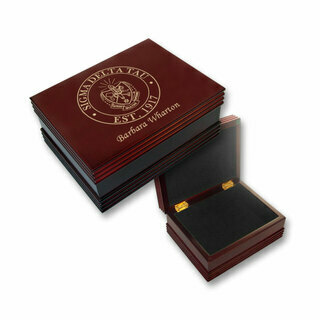 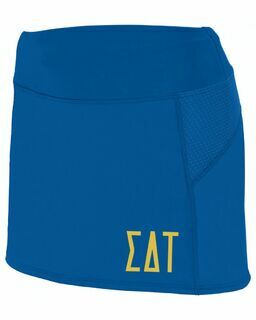 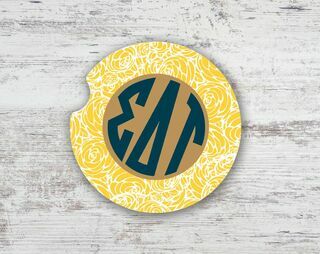 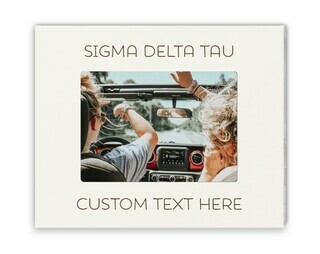 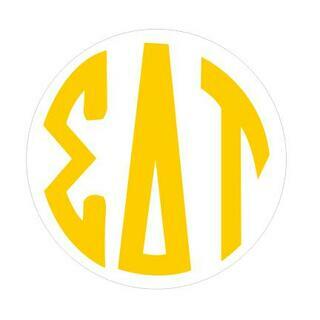 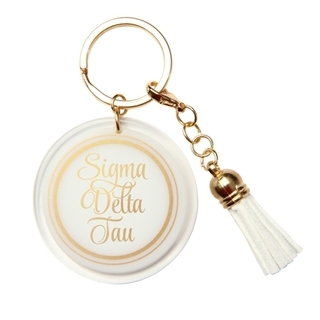 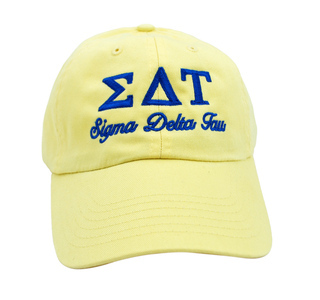 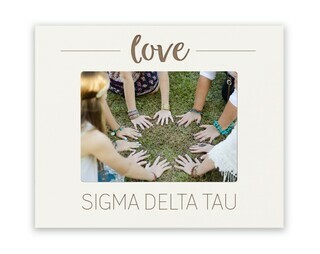 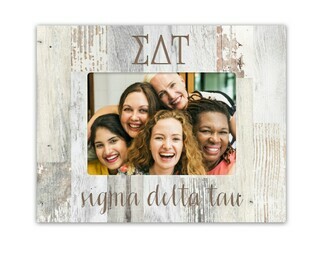 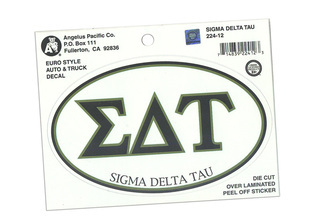 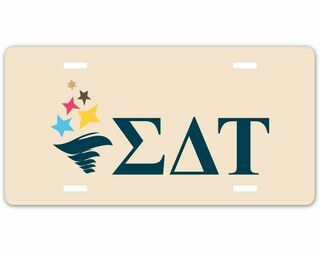 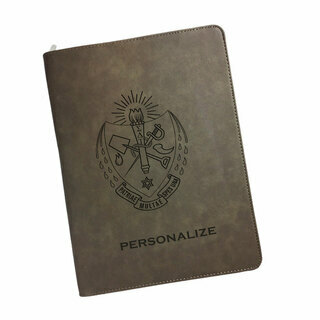 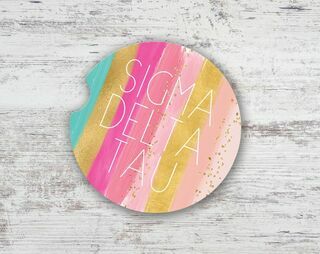 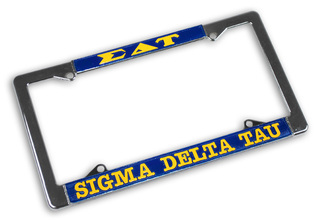 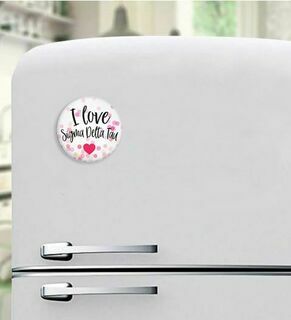 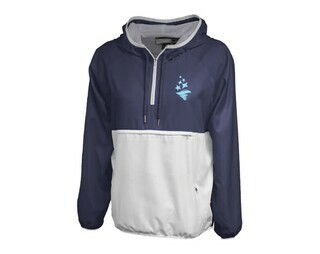 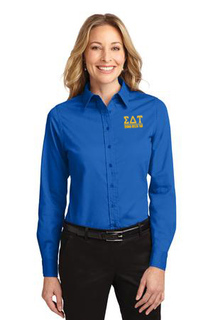 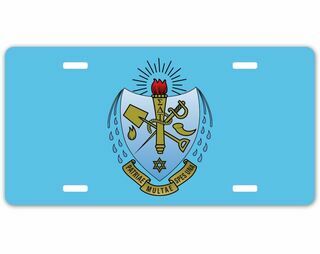 We have a wonderful selection of Sigma Delta Tau merchandise at GreekGear.com , including special sorority magnets and Sigma Delta Tau pins for your next meeting or formal gathering. 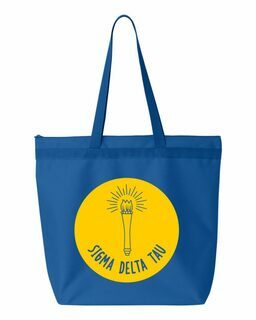 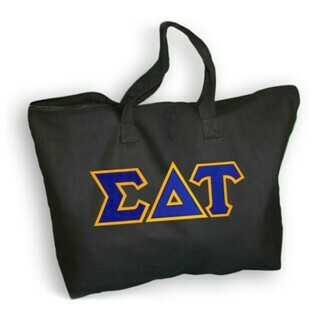 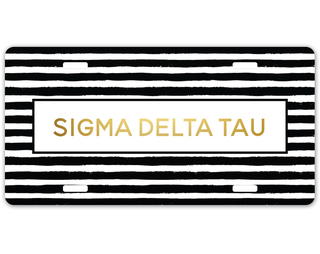 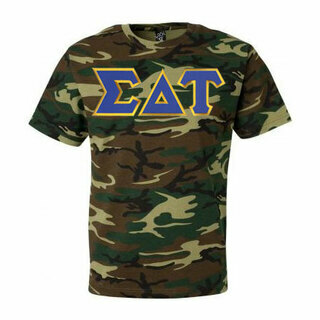 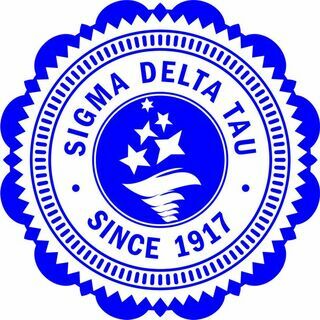 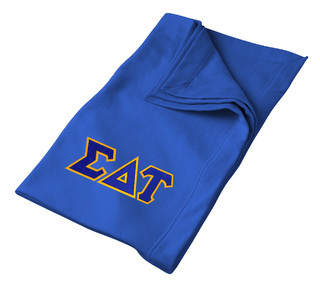 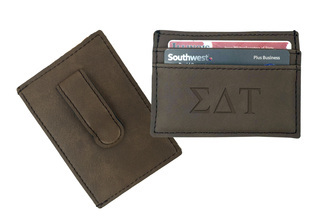 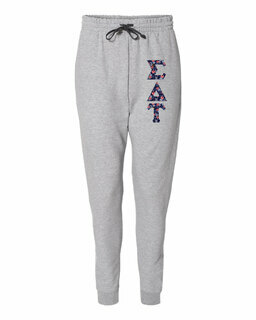 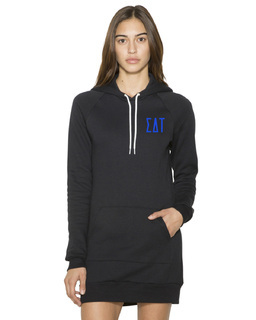 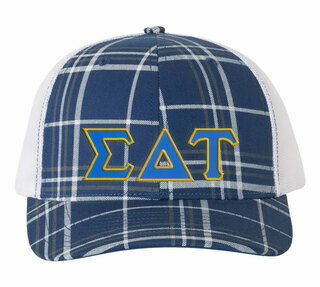 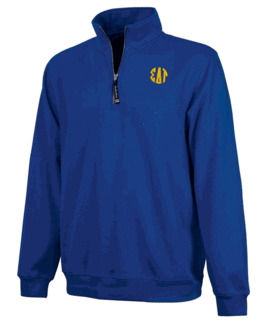 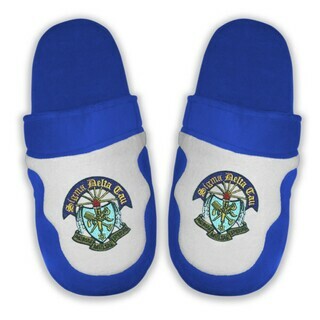 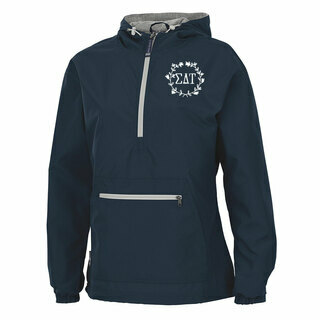 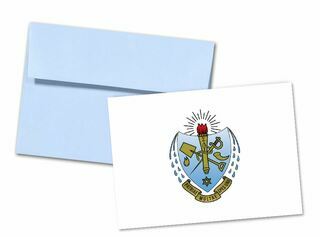 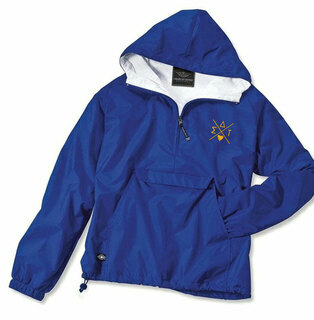 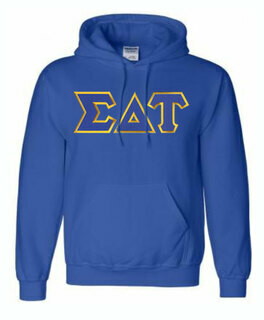 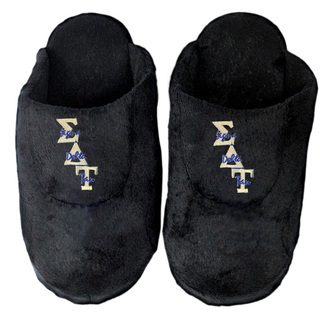 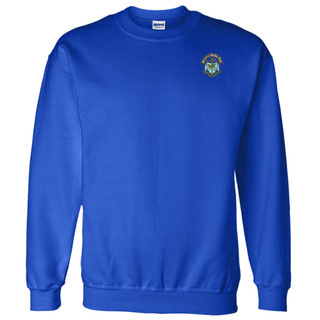 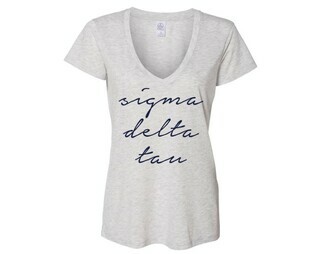 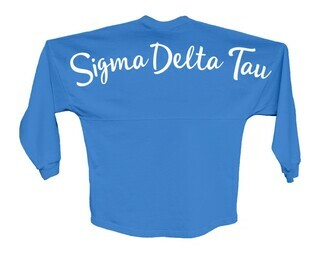 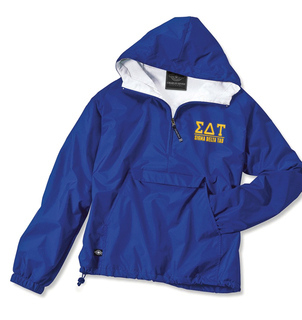 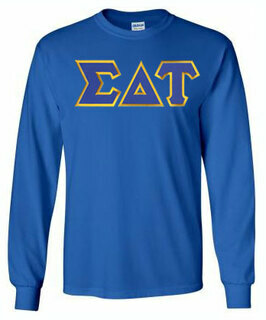 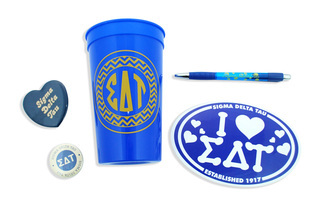 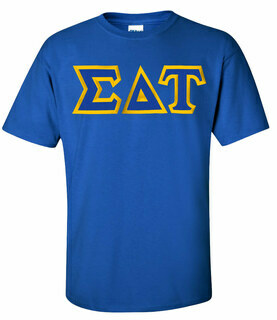 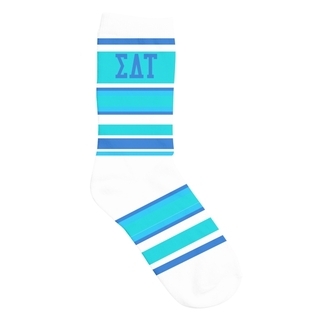 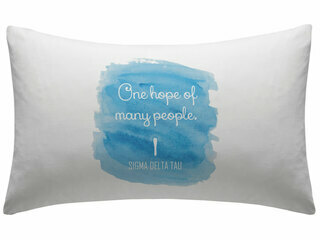 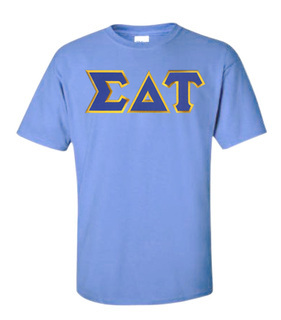 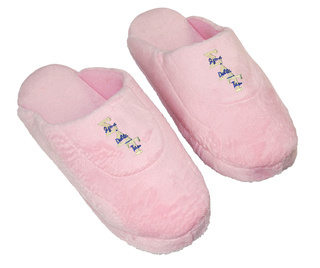 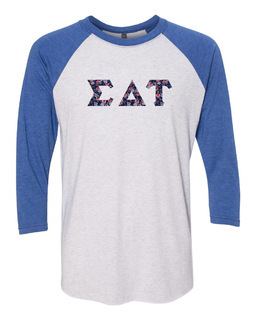 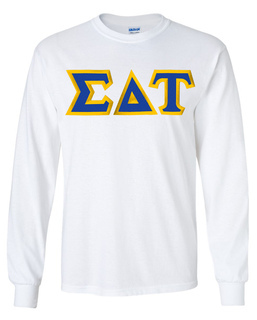 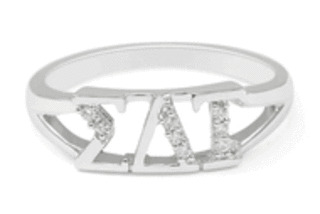 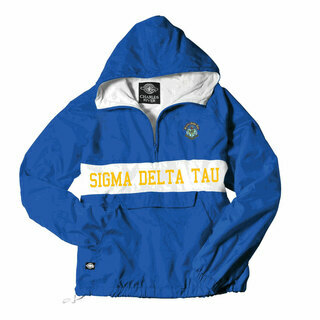 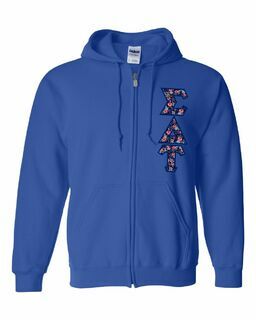 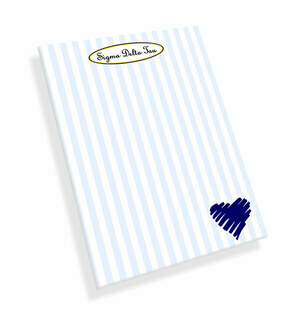 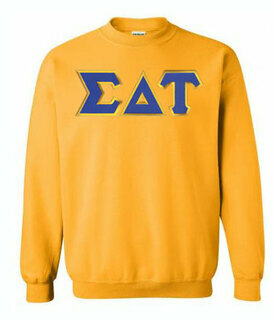 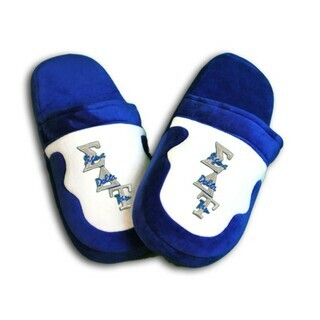 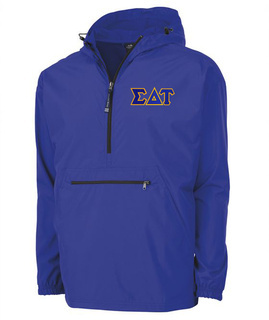 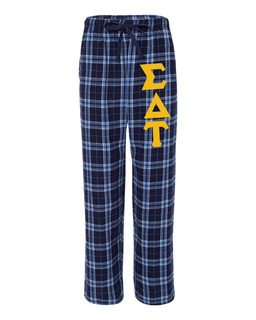 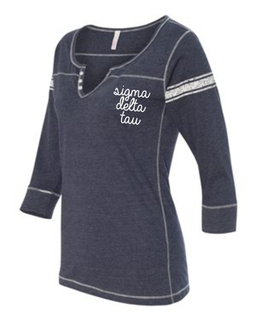 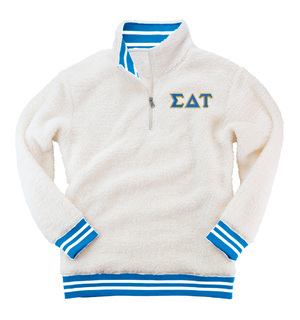 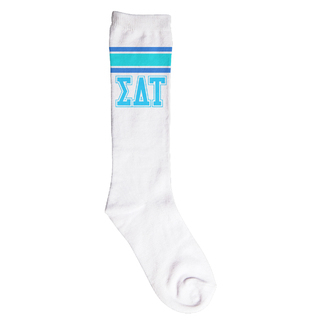 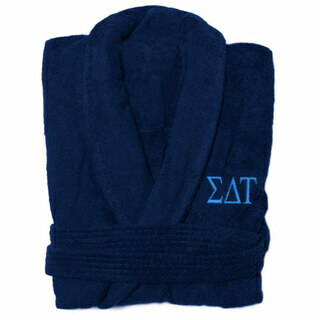 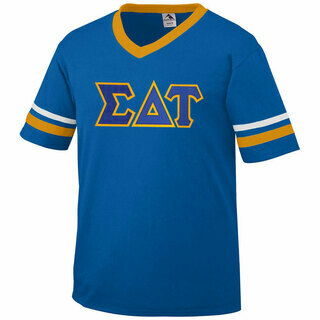 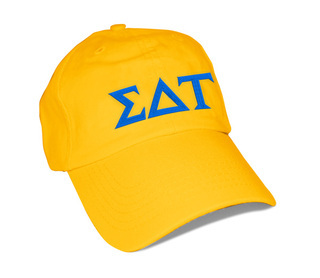 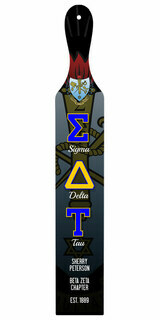 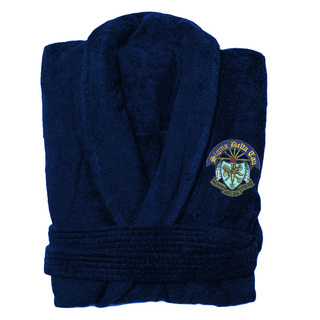 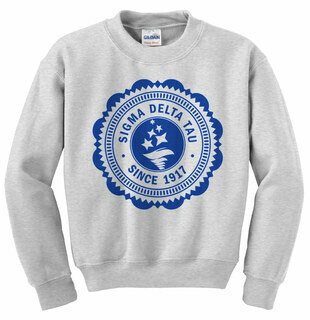 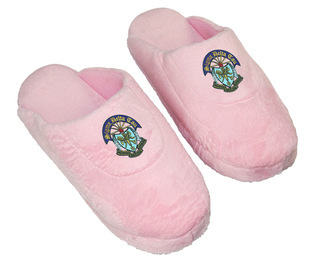 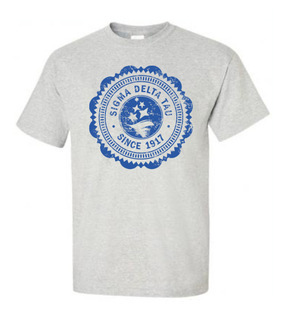 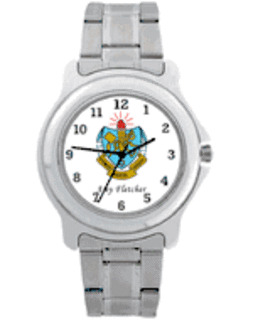 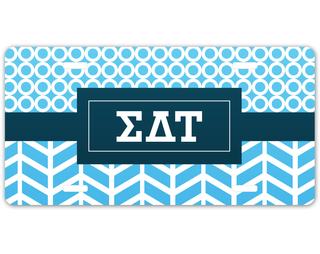 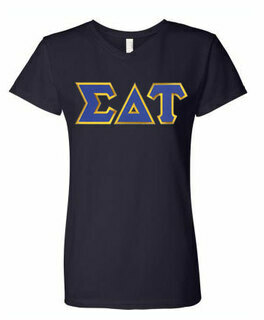 Please browse our complete selection of official Sigma Delta Tau Greek Merchandise below. 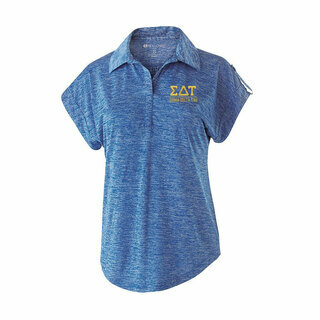 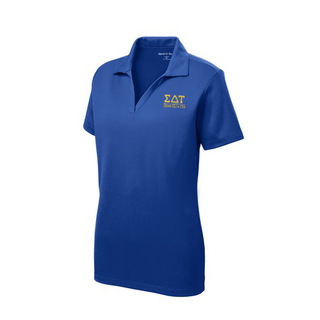 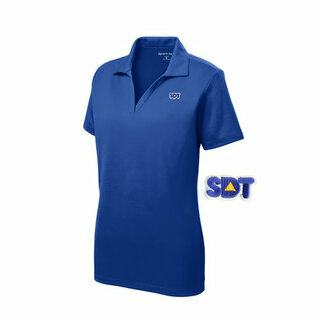 DISCOUNT-Sigma Delta Tau Mascot Polo!